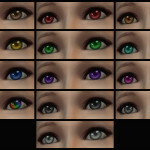 13 eye textures previously exclusive to my Dolls race. 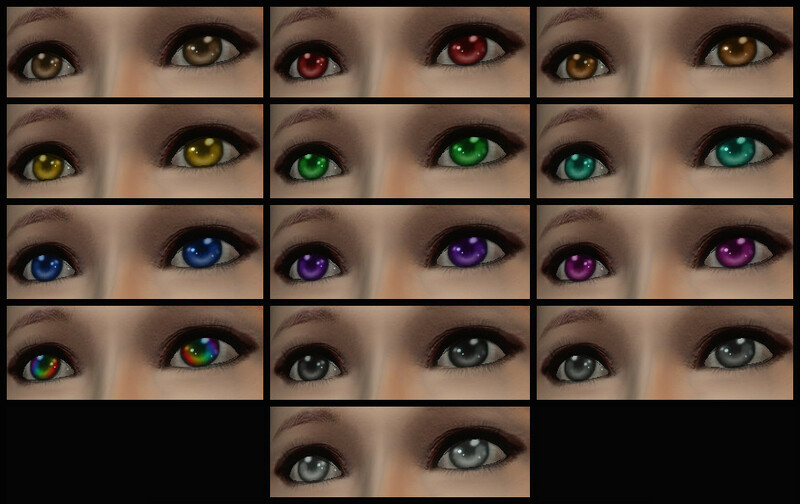 These eyes made their first appearance in my Dolls race mod, but I’ve decided to release them as a standalone resource. There are 13 colours in this pack. 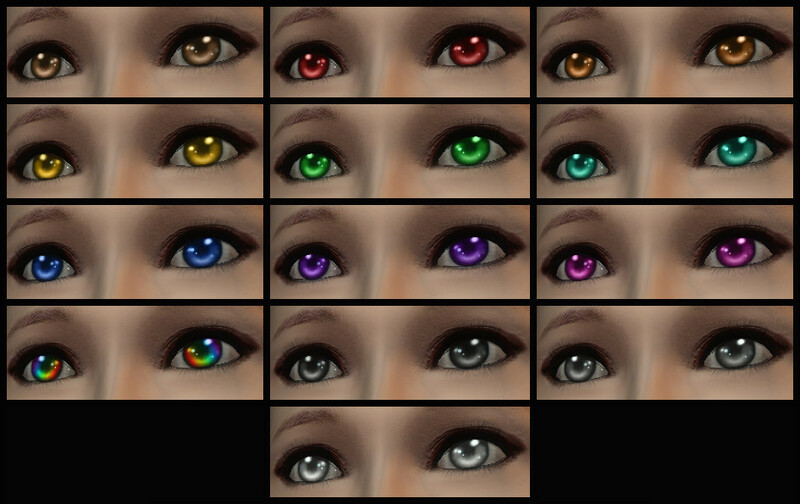 Each colour has a glow variation, so you basically have a total of 26 eye textures. You can load it in the CS, delete the ones you don’t want, then merge the mod into another mod and add them to a race! If you want to simply use this mod as a master file for many different mods, please use the Master Version. Extract the archive into your Data folder, then activate MissAniThrope’s Doll Eyes.esp/esm in the Launcher. It’s pretty self-explanatory.